Those recent rumors that Alice Dellal would be the newest face of a Chanel campaign are true. 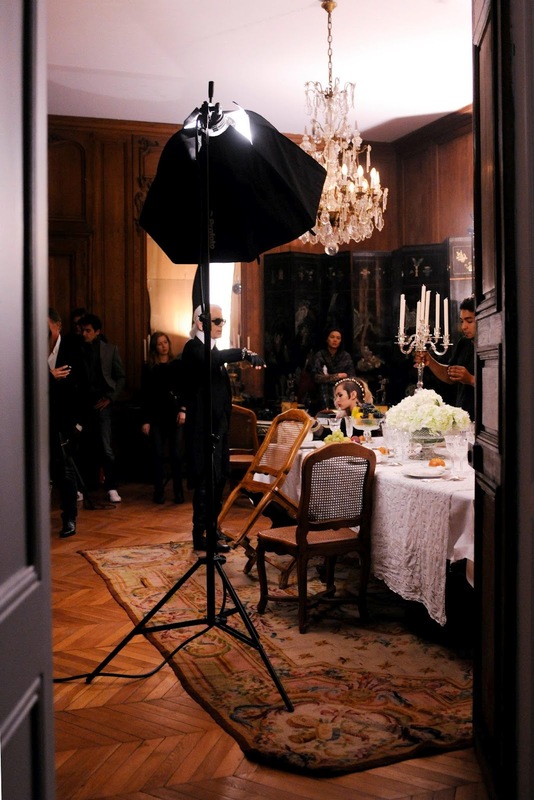 Chanel just released an image of her shoot with Karl Lagerfeld to WWD. You can only see half of Alice and half of the new Chanel Boy bag. 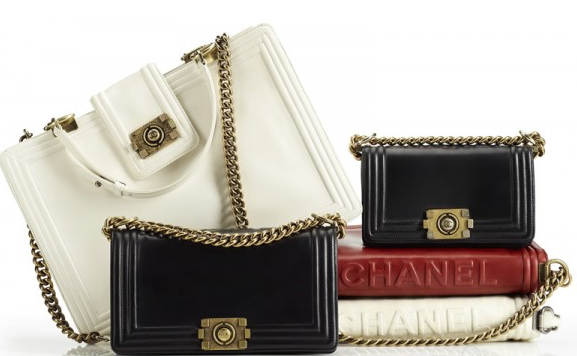 (The only thing we can really glean about the bag is that…it’s quilted, which is slightly confusing, because the Boy bags are glazed leather and not quilted, but possibly this is a newer version? Anyway…) Alice is sitting on a chest of drawers dressed to the nines in girly, ruffled cream Chanel, complete with a side braid topped with a black ribbon–a stark contrast to her usual shaved-head-rock-n-roll-black-leather-jacket-wearing style. The Boy name is significant for two reasons–first, to highlight that masculine-feminine vibe that Coco made famous. Second, Boy Capel was the love of Coco’s life, helped finance her atelier, and was also her muse. According to Lilogi, Boy’s style directly influenced Chanel’s menswear direction. Which all means that Alice Dellal, with her rough edges, is sorta perfect for this campaign.